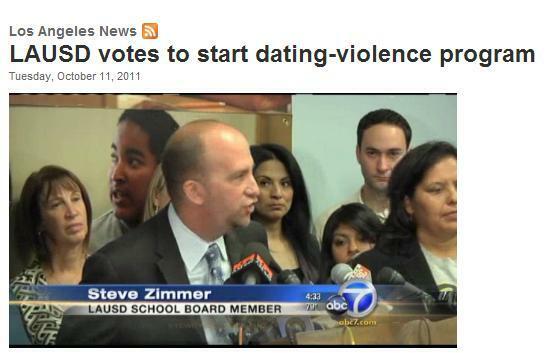 We had been trying for over a decade to move individual schools to change their policies to promote healthy relationships and prevent teen dating violence. We saw how ineffective trying to change policy on a school-by-school basis had been and knew that we needed to make change on a districtwide level instead. Our window of opportunity arose when a high school teacher that had been a champion of our work for a long time became a school board member. The national Start Strong team had helped us create a model teen dating violence policy for schools that incorporated our best thinking about what an ideal policy would look like and what research there was to support each aspect of it. We used that to educate the teacher on the importance of school teen dating violence policy and share an example of a comprehensive one. This provided him with the right information and the right tools to inform his colleagues on the school board about the importance of having a teen dating violence policy. As a result, the school board passed a resolution instating such a policy districtwide. Without the teacher serving as an educated, dedicated champion, such a significant change never would have happened so quickly.